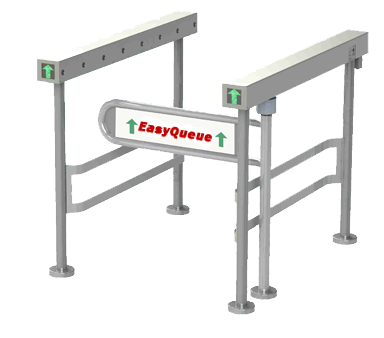 Detection and alert of personnel or merchandise exit movements at the floor level. Electronic sensors and programmable chips allow tailoring of specific functionalities to the needs of store operators. Option to count the number of entries into the store. 304 grade stainless steel components have been designed to provide long lasting durability with virtually no maintenance. Fail-safe automatic de-activation of the gate locking system in case of fire alarm or electric power failure.